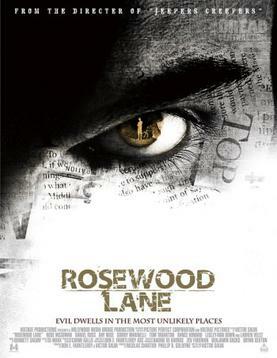 Rosewood Lane has a premise that would be a sheer nightmare to experience first hand. To see it happen to shallow characters lessens the overall experience into a drab, ineffective muddle from a director clearly capable of churning out suspense on demand. Perhaps he works better with a higher budget and atmospheres that do not mirror those of soap operas. Despite being surrounded with controversy regarding his molestation case on the set of Clownhouse, one of his first films, I’ve always respected writer/director Victor Salva in the field of suspense and ideas. The original Jeepers Creepers is a truly suspenseful horror film with solid writing, aware directing, and credible, memorable suspense. Its sequel is a tad hokey, with many flaws in its plot points and aesthetics, but overall, a capable horror film able to at least erect aspects that have made past thrillers successful. I didn’t thoroughly despise it. Rosewood Lane feels like a work in progress. Its actors are well-fitted for the roles, but everything else is the slowest of slowburn, only it isn’t building to much of anything. Take Ti West’s Innkeepers, a horror film released earlier this year. The film was self-aware of its atmosphere and completely capable of creating smart characters and intelligent, realistic dialog. Rosewood Lane feels cold and tone deaf, never achieving any suspenseful heights nor does it ever appear to be fully trying. Slowburn horror is one thing, but a film that progresses slowly as a distraction to show it doesn’t totally know what it wants to do or what it’s doing is an unfortunately lethal blow to a film’s attempt at likability. The needless cat murder doesn’t help its reputation either. The plot: Dr. Sonny Blake (Rose McGowan) is a talk radio psychiatrist, working the late shift, giving random callers life advice and direction. Dr. Blake decides to move into to her childhood home after her alcoholic father dies, and upon moving in, meets the deeply inept, sociopath paperboy Derek Barber (Daniel Ross Owens), who lives next door. The paperboy, who may or may not have had some sort of relationship with her father, pesters Blake into oblivion, but the results are not taut and scary, but almost inherently laughable. Her first clue that something strange is up is when she sees that her dresser of nick-nacks has been rearranged by someone not herself. For a TV horror film made for a network like USA, or even Lifetime, perhaps that would be mildly frightening. For an audience hungering for tricky tactics of suspense from the man behind Jeepers Creepers, this is pretty third-rate material. The performances are clearly gifted. Rose McGowan is admirably convincing in scenes that rest on her shoulders, and one of my favorite character actors, Ray Wise, is present, playing a detective hellbent on convincing Dr. Blake that nothing is happening. Despite something clearly being up, he persists that there isn’t, and scenes following ones of that nature continue to play out this long, winded excursion of, strange kid does something, victim notices, victim contacts boyfriend and detectives, they say she’s crazy, etc. One wonders if Victor Salva aspired to make something more frightening, and one contemplates if the clearly miniscule budget paralyzed him to work with just the bare basics of horror filmmaking. If life is kind to him, he will make more films. Ones more impressive than Rosewood Lane, hopefully. And hopefully ones that don’t feel gridlocked to conventions. Starring: Rose McGowan, Daniel Ross Owens, and Ray Wise. Directed by: Victor Salva.